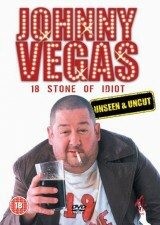 For all the latest book signing and book related appearance dates please visit the Becoming Johnny Vegas page here. The page will be kept up to date as more dates are added. On thursday 25th September Johnny will be a guest on Loose Women, ITV @ 12:30. He will also be making a guest appearance on Celebrity Juice on ITV2 @ 10pm. 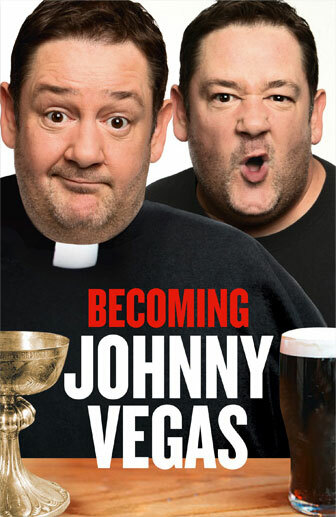 Becoming Johnny Vegas is now available to pre-order on Amazon! From BBC Dickens adaptations to Benidorm and Ideal to the PG Tips ads, Johnny Vegas has become one of Britain’s best-loved comic actors. But before he’d ever drunk tea with a knitted monkey or made himself the exception that proves the rule in terms of the predictability of TV panel game regulars, Johnny Vegas was perhaps the most fearlessly confessional stand-up comedian this country has ever produced. How did an eleven-year-old Catholic trainee priest from St Helens grow up to become the North West of England’s answer to Lenny Bruce? That’s just one of the many questions answered by this eye-poppingly frank memoir. Becoming Johnny Vegas establishes its author as the poet laureate of the Pimblett’s pie. Once you’ve finished this darkly hilarious tale of family, faith and the creative application of alcohol dependency, you’ll never look at a copy of the Catholic men’s society newsletter the same way again.